Well, I think it’s well past time to resurrect my blog after a hiatus of a couple of years. I have big news related to the Camino. I was searching for an apt metaphor to describe the reactivation of my blog and initially thought that the image of a phoenix rising from the ashes might be the ticket. However, as I gave this idea further thought I realized that while the ashes part of the metaphor seems appropriate, the idea of my blog being some sort of rising phoenix seemed a bit pretentious and grandiose. So, I’m thinking that the idea of a 17-year locust emerging from its underground habitat where it has remained out of sight for eons might be a better metaphor. The image of an insect (actually, a cicada rather than a locust) emerging from the ground seemed more accurate for my blog than the image of a phoenix. Ha! So, onto the big news, which many of you may already know. I talk about it all the time – just ask my wife! After an extended period of discernment, mental wrestling, in-depth study, and discussion I have decided to return to the Camino. My previous experience on the Camino has altered my life and even, I fear, somewhat taken over my psyche. A day does not go by without me thinking about the Camino or communicating with other Camino addicts. 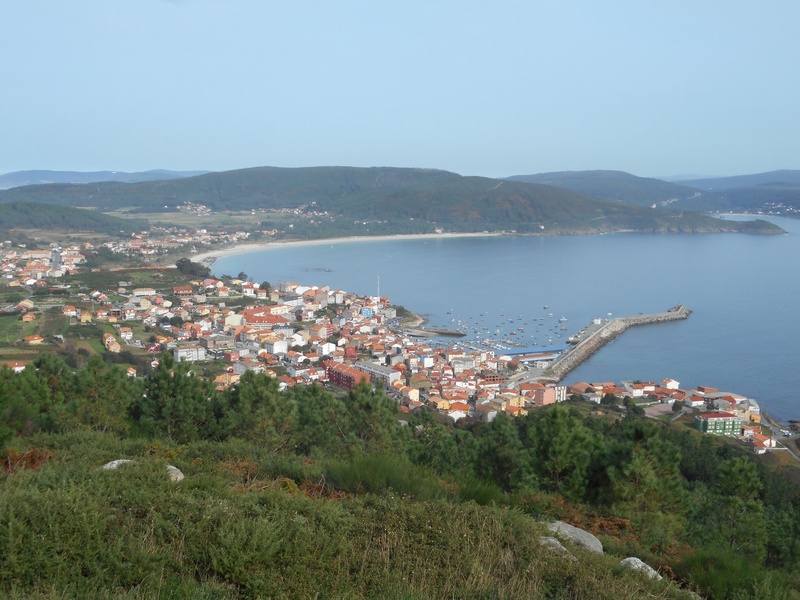 Thinking of the Camino as a form of addiction is not so far out as it may seem. Let me give you an example. I had the distinct honor a couple of weeks ago of meeting Phil Volker (the subject of the documentary “Phil’s Camino”) and Annie O’Neil (the producer/director of “Phil’s Camino” and one of the six primary pilgrims in the film “Walking the Camino: Six Ways to Santiago”) at a screening of “Phil’s Camino”. After the screening and Q&A session, I was able to spend some time speaking with Phil. I commented to him how the Camino has this sneaky way of taking over your life and he summed up my thoughts very succinctly in three words by saying “It’s a drug!” How accurate is that!? Here I am with Phil. Here I am with Phil and Annie. Side Note: By the way, if you haven’t seen Phil’s Camino, please find the time to do so. It’s readily available for purchase (go to philscamino.com) or rent. This moving, powerful, and beautifully photographed film has a strong connection with the Camino but it is not about the Camino. It is about one man’s way of dealing with the devastating news of a stage 4 cancer diagnosis. Rather than giving in and giving up, Phil deals with the issue in a creative, uplifting, and encouraging way. It is well worth the time to seek out and view this film. You will be inspired and moved! 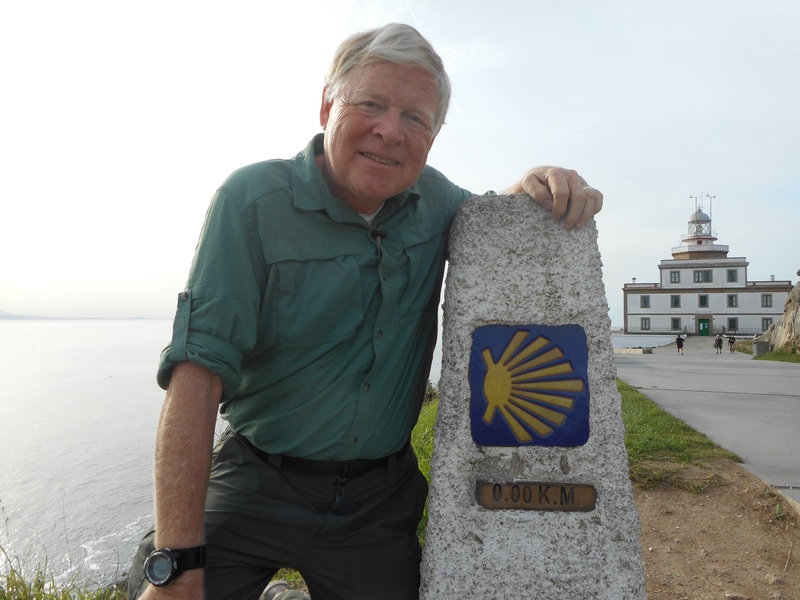 As far as my return to the Camino, my intention this time is to go a bit farther than I did the first time – twice as far, to be exact! I will retrace my steps along the Camino Frances but will be starting deep inside France at the city of Le Puy en Velay and walking the Via Podiensis as well. This route is one of the four main Camino routes within France that eventually connect with the Spanish Caminos. In particular, the Via Podiensis extends from Le Puy to St. Jean Pied de Port – a distance of around 500 miles – where it meets up with the Camino Frances. Assuming that my body and spirit hold up, this means that when I arrive in Santiago almost three months later I will have hiked around 1000 miles! I must be out of my mind!! So far, I have made the decision to return (a big first step), laid out a daily itinerary which I may depart from if and when circumstances warrant, obtained my airline tickets, and started sorting through all my hiking paraphernalia to see what I will take, what gets left behind, and what I still need to procure. These are all logistical questions, but the myriad details seem overwhelming and daunting at times – actually, most of the time, if truth be told! In fact, I have spent far too much time worrying about all the “what if’s” associated with the Camino. What if I have trouble with the language? My French is whatever I remember from high school (a long time ago!) and it is used extensively on the Via Podiensis – not so much English. What if I overstay my time in the EU? I am only allowed to be in the EU without a visa for 90 days and my entire Camino itinerary could easily take that long. But, I have total flexibility with my itinerary and my return flight date can be easily changed with no penalty. What if my wife needs help while I’m away for 3 months? She will do fine and has other family nearby in case of need. 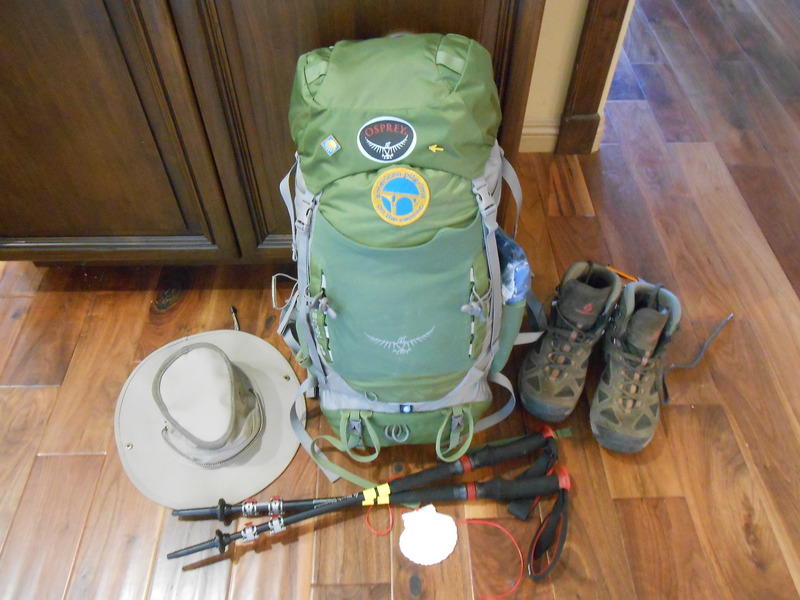 What if the airline loses my backpack? It’s never happened to me before and I doubt it will this time, either. What if I need to call home? I will be getting a European SIM card for my phone and all will be well. We have WhatsApp, after all! The list could go on and on. This is just the tip of the proverbial iceberg! But I’ve reconciled my fears and trust that all will be well. I am convinced that once I get to Le Puy and take that first step, my fears will evaporate and I will slip back into the familiar Camino groove once again. 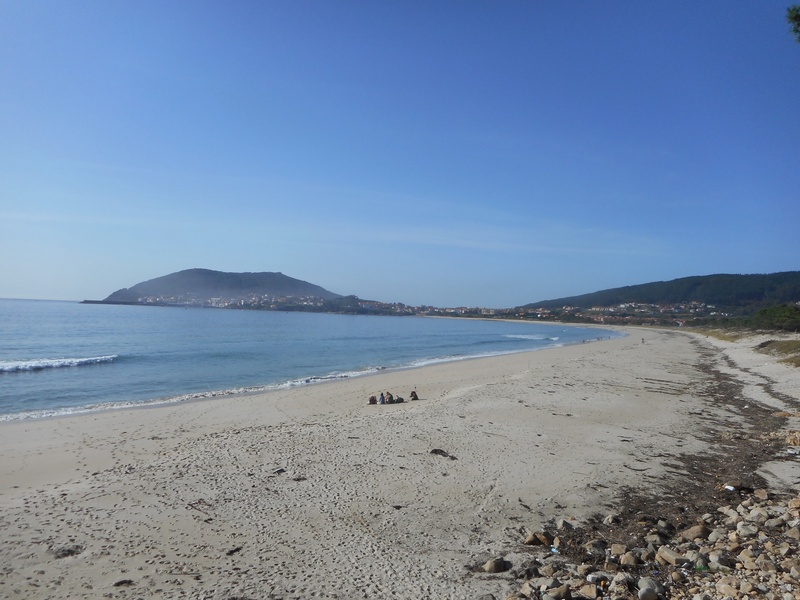 One big change from my first Camino is that this time I will be walking solo. Last time a friend accompanied me. So, there’s a whole set of anxieties associated with that, too. But lots of folks have made the pilgrimage solo and lived to tell the tale. Preparation for this Camino has been a lot about overcoming my fears. I think part of my anxiety has to do with the fact that I already know what I’m getting myself into and, in large part, what lies ahead. The first time we were like babes in the woods! But I have had a ton of support from members of the various Camino-related Facebook groups I frequent, including the American Pilgrims on the Camino (APOC), the Portlandia Chapter of the APOC, and the Via Podiensis group. Everyone, without exception, has been helpful and encouraging. So, off I go! My plans call for flying to Paris on August 18 (only 2 weeks away!!! Yikes!!! ), traveling to Le Puy on the 20th after an afternoon sightseeing in Paris, then taking that fateful first step on the 21st. 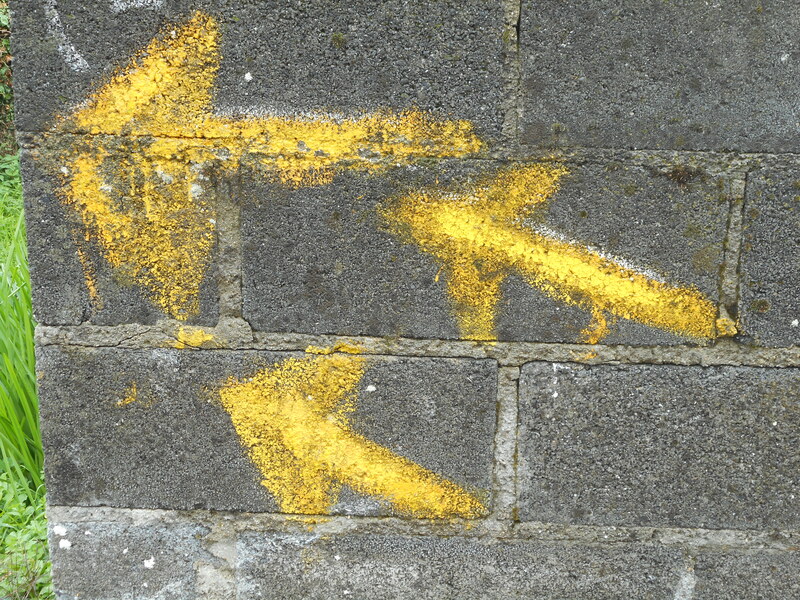 I’ve heard it said that there are only three simple steps for walking the Camino. Step 1: Get to your starting point. Step 2: Take your first step. Step 3: Repeat Step 2 two million times! (OK, as I actually heard it, it was 1 million steps. But that was from St. Jean. From Le Puy, it’s twice the number of steps!) That’s all there is to it. Anyway, I plan on posting updates on my blog as often as possible and practical (every day or so, assuming I have good wi-fi access) and will include some of the best photos I can take. (By the way, that’s pronounced “wee-fee” in Europe. Don’t want to make that mistake!) In a way, I have missed this form of journaling. Aside from keeping folks updated on my whereabouts, it has created a tangible record of my thoughts, challenges, and observations along the way. I am looking forward to the journey that seems to be approaching at warp speed. This walk will be a spiritual and well as a recreational experience and I hope I will be able to convey some of that in these posts. Thank you for joining me along the way. Bon Chemin and Buen Camino! I wanted to share an inspirational story and photo with you all. This will warm the hearts of anyone who has walked the Camino or has it in their blood. As I’ve said before, once the Camino gets ahold of you it doesn’t easily let go. I stole this story and photo from the American Pilgrims on the Camino Facebook page. But, it made such an impression on me I just had to share it. As the Facebook entry stated: “This is Erika from Canada. 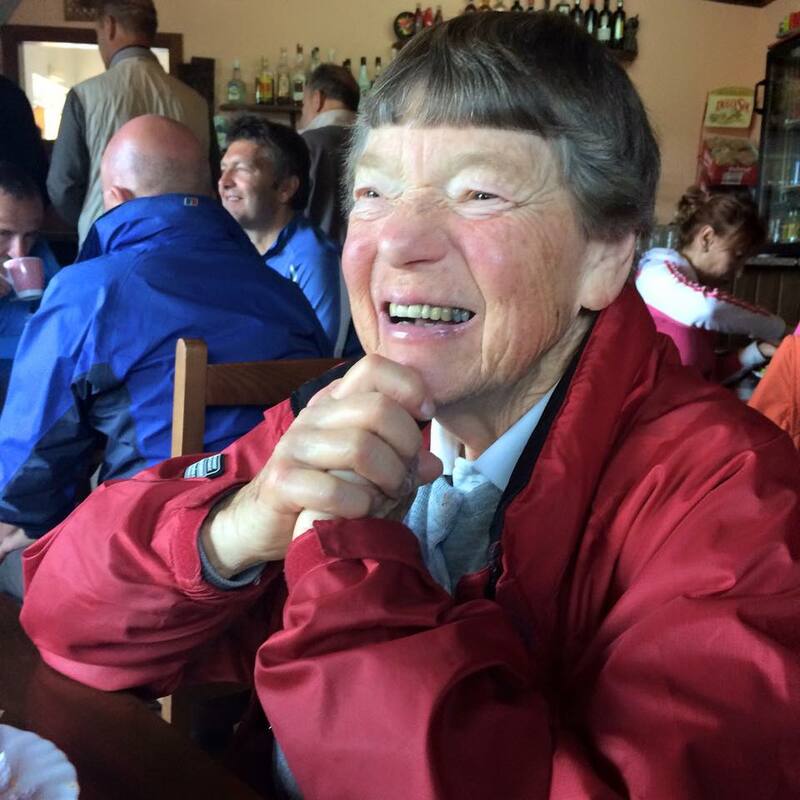 She is 86 years old and is currently on her 12th Camino, having completed her first at 75. She thinks this might be her last though, as despite sending her luggage ahead and only walking around 9km per day, she’s finding it a bit tough this year. She is bloody amazing!” I couldn’t have said it better. And, check out the photo. This is one lovely lady! We should all look so good when we’re her age. I attribute her youthful good looks to all that time on the Camino. The Camino gives many and varied gifts! During my time on the Camino I saw and met many people with foot problems. In fact, foot problems (mostly blisters) were the most common complaints I heard from my fellow pilgrims. Blisters are painful and can ruin your day or even, in rare instances, result in an early end to your pilgrimage. Blisters can also become infected which can result in a visit to a local physician and maybe even orders for a few days of unplanned rest in more extreme cases. Caring for your feet on the Camino is the most important thing you can do to ensure a successful and happy pilgrimage. It is simply “Job Number 1.” I know that sometimes blisters or other problems happen in spite of the most careful precautions, but I also saw people who didn’t seem to have a care for their feet – and those were often the people who were suffering the most. I saw people walking in the most improper and improbable sorts of footwear and doing things that only encouraged the development of blisters rather than working to prevent them. They ended up spending their evenings caring for blisters rather than enjoying the town and getting to know their fellow pilgrims. However, in spite of their lack of care and foresight, I truly empathized with them for the discomfort they were experiencing. Care of your feet begins long before you leave for Spain, as you purchase your footwear and prepare it for your pilgrimage. But it also continues day by day while you are on the Camino. Proper care of your feet requires close and daily attention. So, in an effort to summarize my observations on Camino foot care and to offer a few of my own suggestions, I have created a short document on the subject, which appears below. 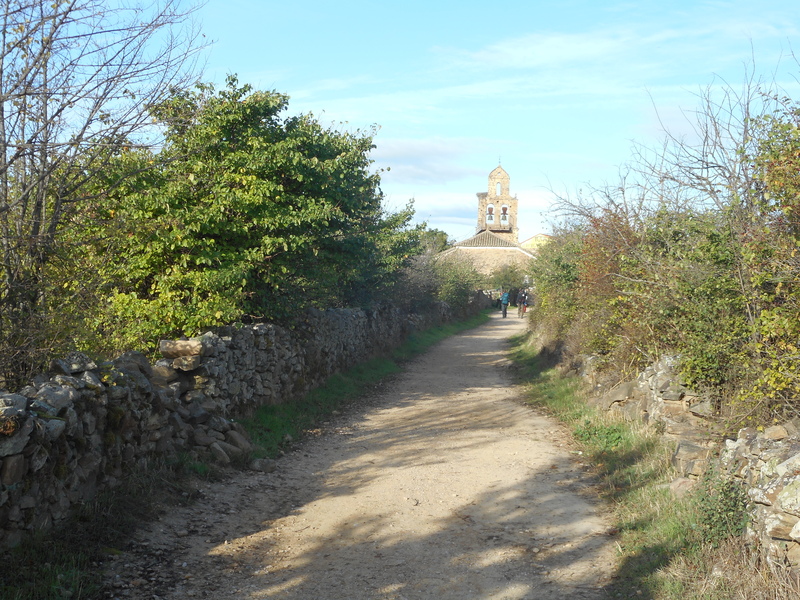 I hope it will help other pilgrims have a more pleasant Camino experience. 1.) Get good hiking boots or shoes! Don’t skimp on the money here. 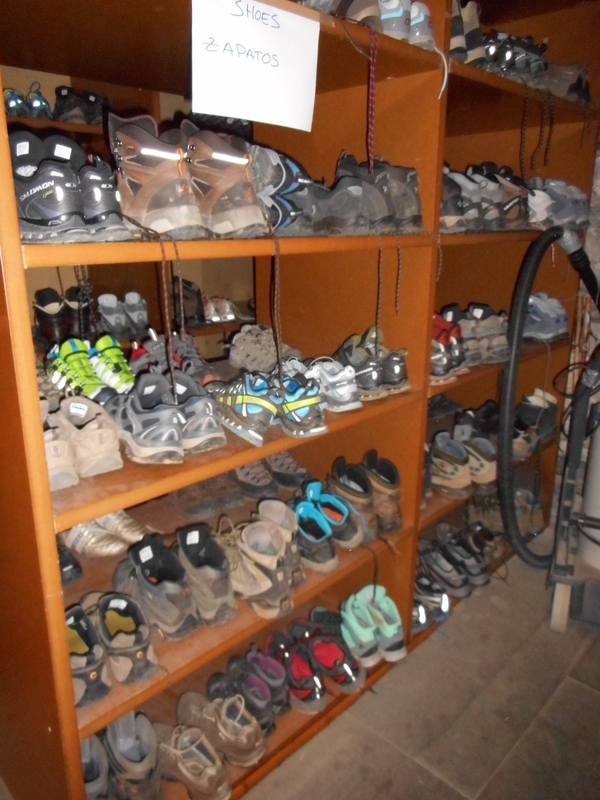 Your shoes or boots are the most important items you will purchase for the Camino. I bought Vasque high-top boots and they were great for me. But, you really need to go to a good hiking equipment store (REI, etc.) and try on several different styles and brands to see what works best for your feet. Take as much time as you need in this process. Try them on and walk around the store a bit to see how they feel. I was there for well over an hour trying on various shoes until I settled on the Vasques. The salespeople are usually very helpful if you go to a good store. On the Camino I saw people walking in all sorts of questionable footwear and they were paying the price big time. 2.) Take time to break in your shoes/boots prior to going to Spain. Even if you only wear them around the house for a few hours a day in the weeks prior to your trip it will help. But, try taking them on a few day-long hikes if you can. 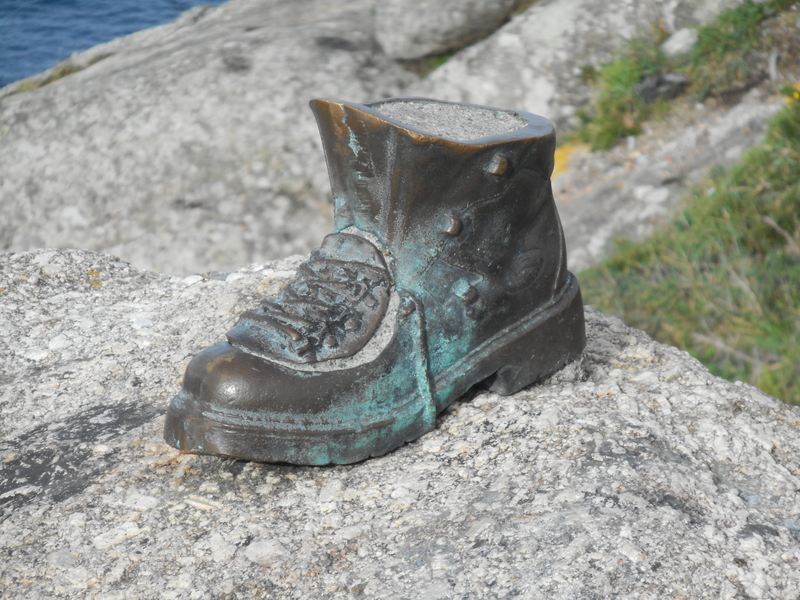 There’s nothing worse than trying to break in a pair of boots while you are just starting the Camino! You will be guaranteed to get blisters. 3.) Apply petroleum jelly to your feet daily. First thing in the morning and later in the day, if needed, apply about a half-inch dollop of petroleum jelly (something like Vaseline) to each foot. Just smear it on over your entire foot and rub it in well. It sounds a little weird, but it really doesn’t get everything greasy and it WORKS! It helps your socks slip a bit over your skin while you’re hiking rather than binding and chafing. Many thanks to Anita from the American Pilgrims on the Camino (APOC) – Southern California Chapter for this suggestion. The APOC is a wonderful organization and well worth joining! 4.) Wear two pairs of socks. 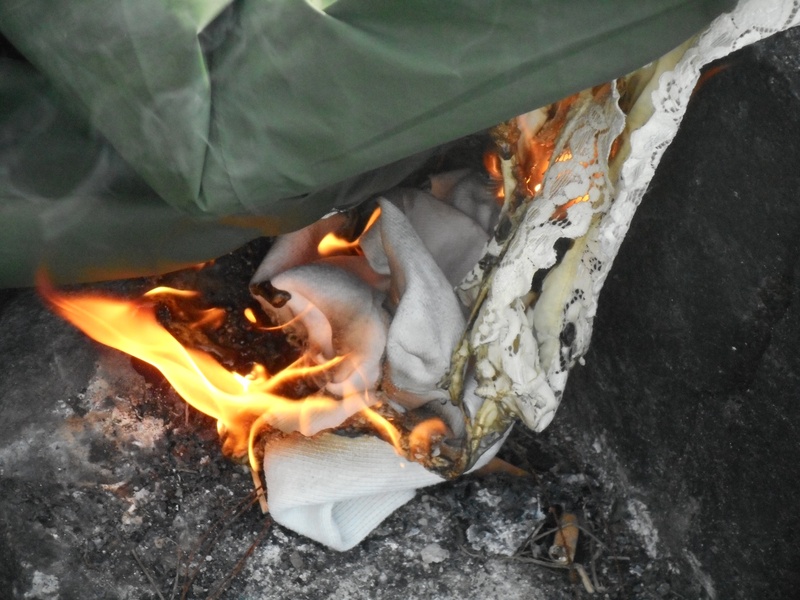 The first pair should be thin, white liner socks (available at REI and other similar places) – get good ones. I bought white rather than colored liner socks since I didn’t want to take the chance of any dyes or other coloring materials seeping into a broken blister, if that was to occur, and maybe causing an infection. The second pair should be Merino wool hiking socks and they go on right over the liner socks. Again, this helps ensure that the liner socks, and not your skin, slip against the wool socks, thereby avoiding chafing and development of “hot spots”. As with your other items of footwear, spend the money and get good ones. When you put on your boots, keep the laces tightened enough to prevent your boots from moving, slipping, or rubbing against your feet, but not so tight that you cut off circulation. 5.) DO NOT let your feet get wet if you can at all help it. When you’ve been walking for hours in the heat and you cross over a lovely running stream, at all costs avoid the temptation to soak your feet in the nice, cold water. If you succumb to the temptation, your feet will absorb the moisture – and damp feet will develop blisters faster than you can blink. As tempting as it looks – DON’T DO IT! Wait until the end of the day and give your tired feet a nice long soak, if desired, at the albergue. If you feel that your feet are getting wet (perhaps on a rainy day), stop at some convenient spot and change out your damp socks for dry ones. 6.) Pay close attention to “hot spots” on your feet. As you are walking, pay close attention to anything that starts to feel like a “hot spot” on your feet. Hot spots usually indicate that a portion of skin is rubbing and will soon develop a blister. As soon as practical after sensing a hot spot stop and check it out. While I didn’t have this problem much, I found that Compeed blister pads worked well for me on the few occasions when I wanted to take some extra precautions. These pads (much better than moleskin or similar products) act like a cushioned “second skin” that prevents blisters from forming and helps ease the pain and facilitate healing if a blister does develop. Just peel off the protective paper from the adhesive backing and stick the Compeed pad over the hot spot or blister and forget about it. It will come off on its own in a few days. It will even stay on while showering. You can purchase Compeed in ANY pharmacy (farmacia) on the Camino. (I found it difficult to locate this item for sale in the United States. Note: In 2017 I have been able to purchase Compeed at any Walgreens pharmacy.) The pads come in a variety of sizes and shapes. Just be sure to use one that is larger than the affected area you are covering. I heard a few people say that they didn’t like Compeed for one reason or another, but I thought it was great. And my opinion was shared by most people I spoke with about this. So, it’s definitely worth a try. 7.) Take time to rest your feet once or twice during the day. Find a nice shady spot, take off your pack, sit down, drink some water or other cool beverage, and then take off your shoes and socks and let everything rest, air out, and cool off for 15- 20 minutes. This is time well spent. Your feet and your body will thank you for it! 8.) Carry a pair of lightweight sandals for evening wear. Not only will your feet thank you for the more relaxed comfort the sandals will provide, this will also allow your primary boots an opportunity to air out and dry overnight. In fact, most albergues will not even allow you to take your hiking boots into the common sleeping areas – for good reason. After a few weeks on the Camino, the aroma from multiple pairs of boots next to or near your bunk will become very unpleasant and definitely not conducive to restful sleep. It’s nothing personal. It’s just a fact of life on the Camino. 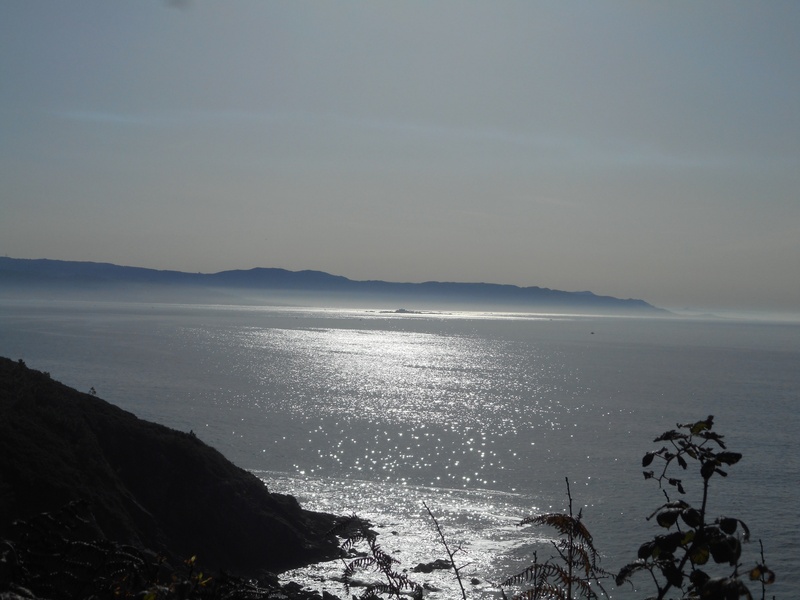 Well, it’s been about 6 months since I returned from Spain after completing the Camino de Santiago and I thought it was high time I said a few words on what’s been going on with me and how the Camino has affected me during the months that have passed. First of all, I have to state that the Camino is still very much a part of my life, as it was when I was actually on it. I think and hope this will be true for years to come and I am grateful for it. 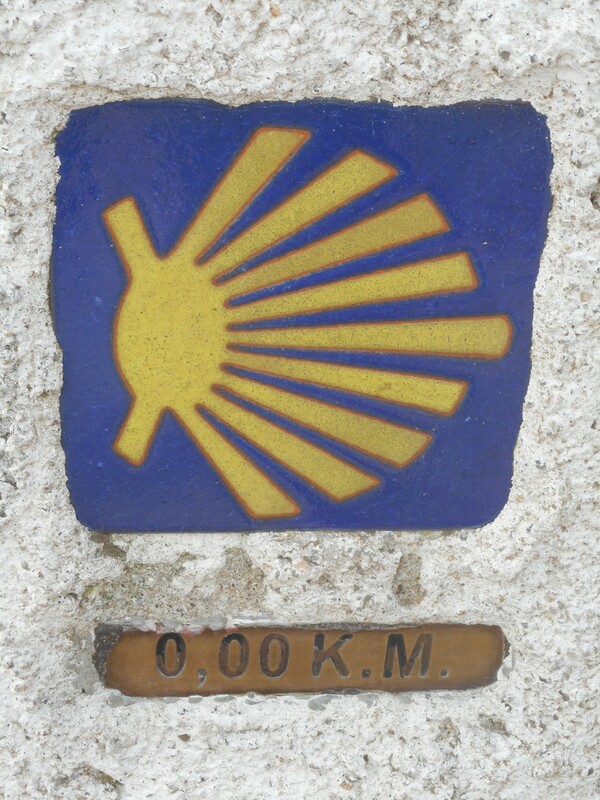 I am already starting to think about perhaps making a second Camino pilgrimage in a year or so. And, knowing how these Camino ideas seem to get a foothold and then won’t let you alone as they grow, I wouldn’t be surprised to see another trip to Santiago in my future. 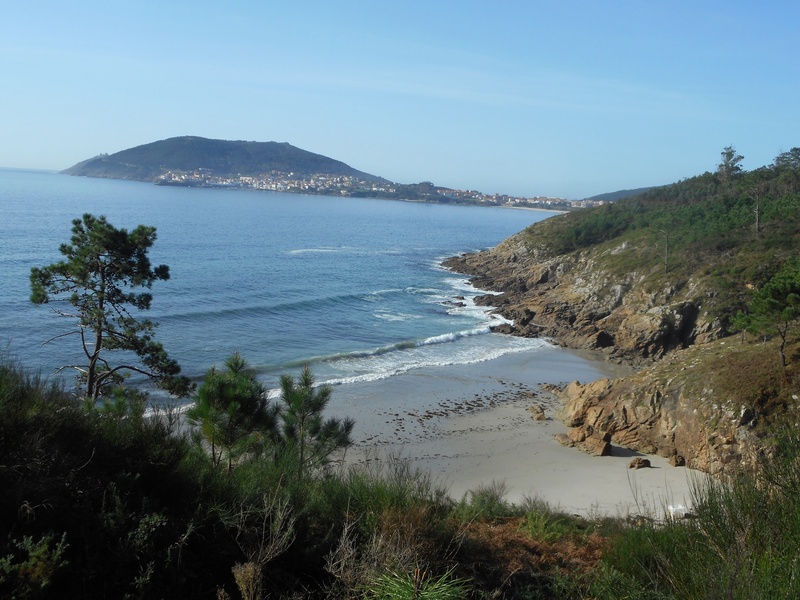 I’ve compared notes with other returning pilgrims and have discovered that this change in being – where the Camino stays firmly in your conscience – is not an isolated feeling. In fact, it seems to be a fairly common phenomenon. 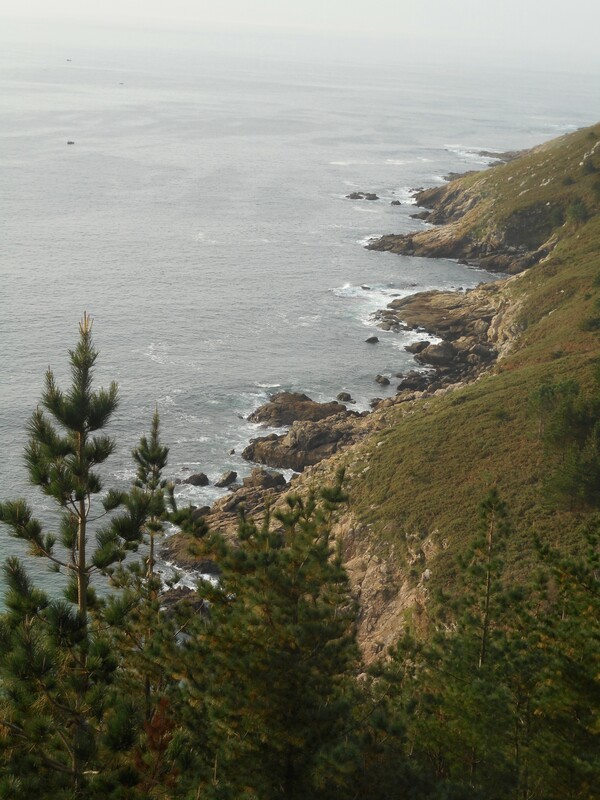 I think back to my time on the Camino virtually every day. It was just such an amazing experience. I’ve continued to expand my book and video library with Camino-related media. YouTube has given me a number of new and interesting video accounts of other persons’ pilgrimages. I continue to meet both past pilgrims and those who are just starting to consider making their own pilgrimage on the Camino. My plan is to start posting again on a more regular basis. I have had a lot of time to think about my experience and have a lot of things I want to say. I have suggestions to offer to prospective pilgrims and lots of reflections on the pilgrimage I completed last fall. These posts will mostly be a collection of my random ramblings. But, I hope others will find them interesting as well. I am viewing this portion of my life as an entr’acte – the time between pilgrimages. 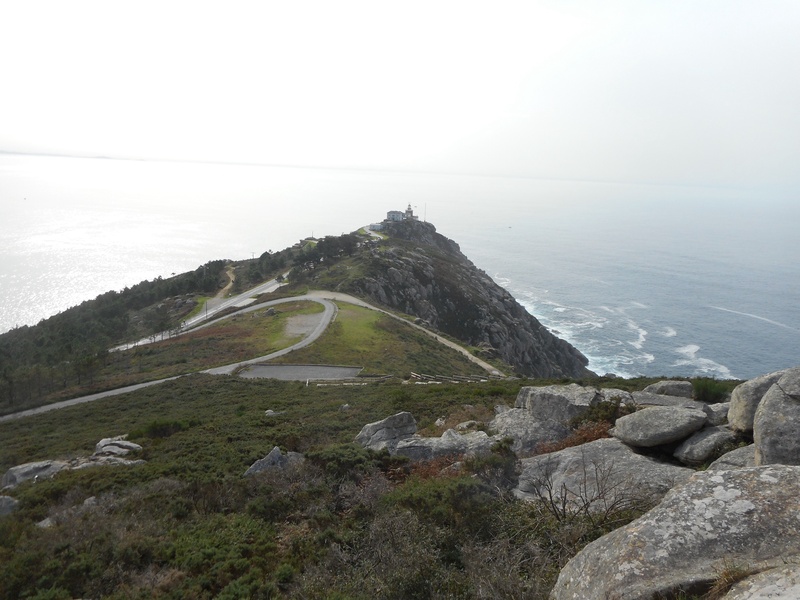 It will be a time during which I continue to discern what my next interaction with the Camino will be. My plan is to include you all in my thought processes and will keep you updated as my thoughts and plans develop.